Brass can be used for making promotional items like coasters, pens, keychains, table tops and many more corporate Gifts. 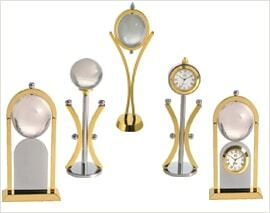 We are the Indian manufacturers and exporters of promotional gifts and customized odd items. 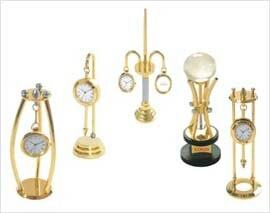 When you have slightly better budget and you would like to impress your associates by giving them something fancy to put on their desk then brassware stands out as one among the better choice. It can be given to employees as a table top promotional product on completion of a project or reaching a milestone or a new launch. The gold plating helps you in impressing the visitors too who sees it on your recipients’ desk with your impeccable branding. 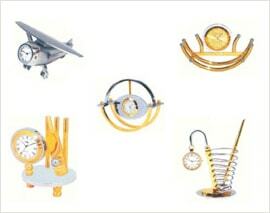 The various other products in the brassware range are decision making dices, gift set, miniature items, mobile stands, money clip, pocket watch, sports related to cricket, golf, stationery items, trophies, mementoes, awards, visiting card box, watch cases, wooden and brass combined and world time etc. They will sit on your client's desk top and keep reminding them about your Company due to subtle printing of the logo. Corporate promotional gifts allow companies- large and small- to welcome new clients, thank existing ones, or woo and impress potential clients. Many business promotional gifts that are embellished with a company logo, allows companies to discreetly stay in the consciousness of clients and partners. In this way, a business promotional gifts facilitates advertising requirements. Choosing the right corporate promotional gift is extremely important and the money you spend on business promotional gifts will often be returned to you multi fold in the form of future generated business. The variety of Corporate promotional Gifts is matched only by the variety of companies that give them.